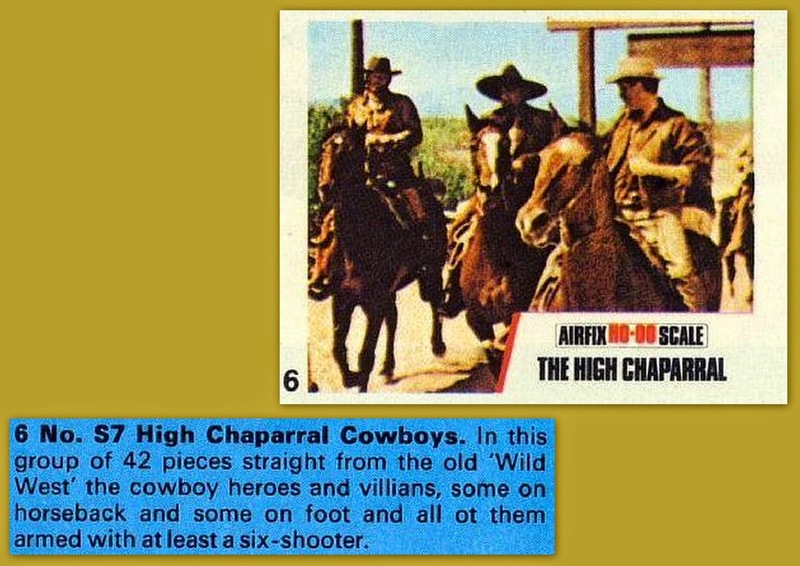 We'll start this one with a useful link...The High Chaparral Fan Site which should help those who may have missed the original TV series. Or even those who didn't; I was a young fan, but at that age I was only really interested in that day's plot-line, not the back story, with the result I've learnt today that Manolito was Victoria's brother and Buck was John's brother...I'd always thought Buck was the eldest, Blue-boy the middle and Manolito the youngest half-brother of three siblings!!!! The twin-figure vignette of John Cannon and Victoria Montoya, showing all three colours this set was issued in - the same colours as the cowboys, with the dark 'plain chocolate' brown arriving while they were still useing it for the Cowboy set this TV tie-in is based on. 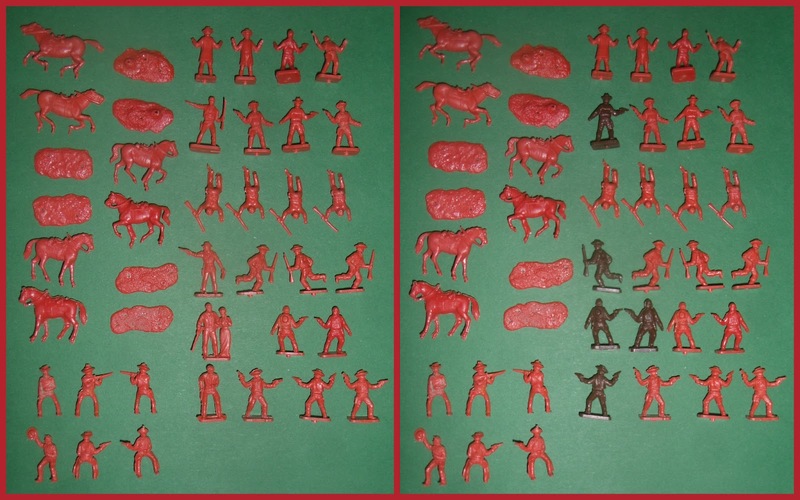 Then we get the mid-brown that represented Airfix's first attempt at reducing the number of plastic colours they were useing; a move shared by the later issues of ACW Artillery, the Indians, Wagon Train, Ancient Britons and RHA already being in the same red-oxide colour along with the Naploleonic Accessory Set later issued in the large Waterloo 'Assault Set'. 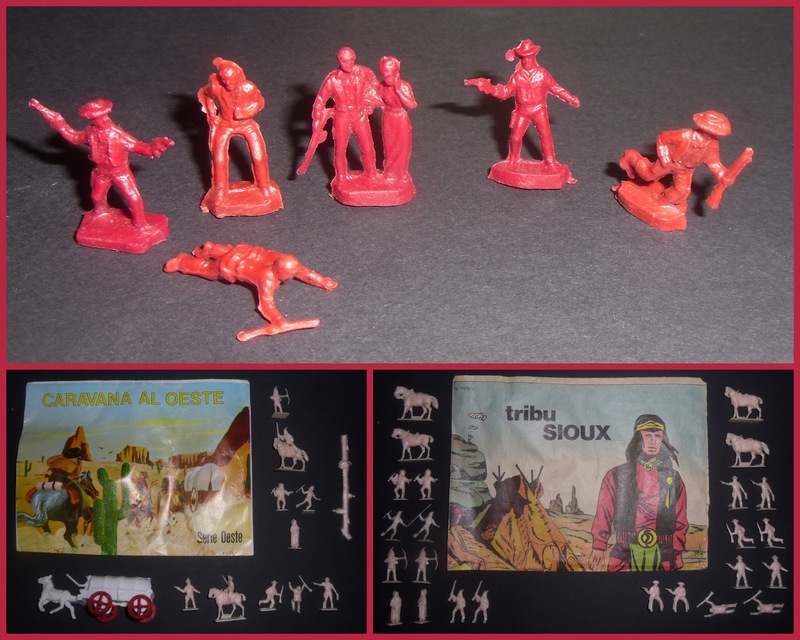 Always a great disappointment when you realised this was just the cowboy set with a few new figures, especially as the new figures - while much better sculpts - didn't really 'go' with the Nibblet designs of the older set. Three mint boxes of black-ended blue boxes, showing that the latter colour made it to these boxes and the latter plain-ended boxes probably only had cream figures in, the cream being the least common colour encountered with this set, and cowboys falling out of favour as the mid-70's gave way to Star Wars, Pong and Micronaughts! 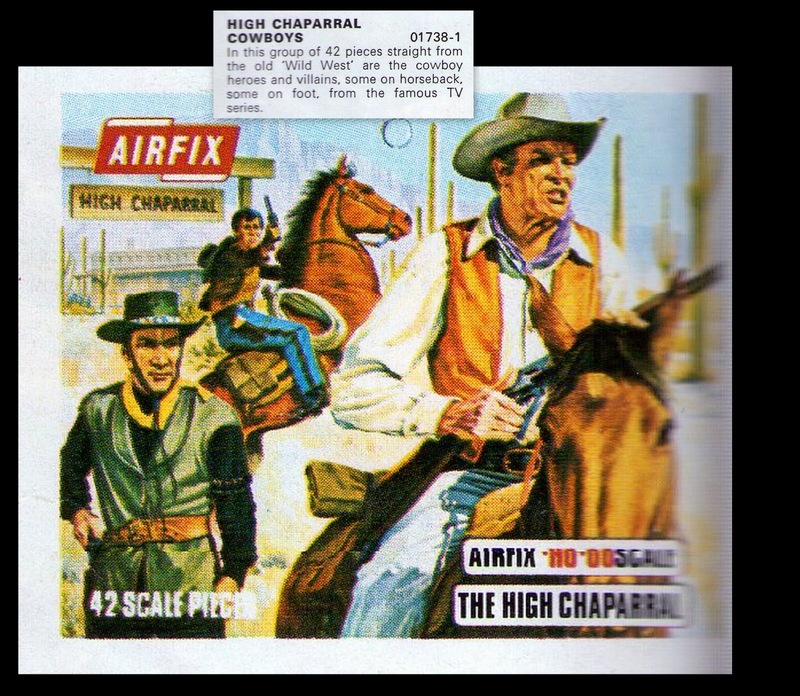 On the left is a complete set of the High Chaparral, with the difference found in the cowboy set to the right, Airfix clearly considered the vignette of John and his wife to be 'two' figures for the purpose of like for like replacement, vis-a-vis mould cavities! Paul Morehead in issue 7 of One Inch Warrior magazine pointed out that the figure of Manolito seemed to have been designed to ride a horse before ending up on a base, not something I'd ever noticed, however I had a damaged figure so took the base away and tried him. He's far too big...but does seem to have been designed with that (being mounted) in mind, I guess once they'd decided to use the existing set and keep the horses while going with a new sculptor (Ron Cameron?) there was a miss-match in style or scale (which could equally be a pantograph error?) so a base was added and all six of the old riders survived the sprue/frame re-suffle! 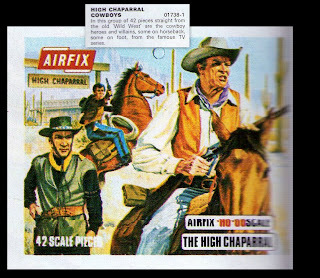 A bunch of OBE's (Other Bugger's Efforts), I had in the past cleaned all the scrappy Cowboys and High Chaparral (I keep them all in one box with the High Chaparral characters in a separate self-seal bag) for set making, so these are mostly from one sample, although it is an old one and you can recognise the Airfix vermilion (was it M1 or M12?) straight-off! The 1975 catalogue image with the 'blurb' inset, scans courtesy of Kostas, a follower from Greece, this was sharing a page with the original Cowboys set, one of Airfix's bigger rip-offs was running two almost identical sets side-by-side...their 'biggest' is probably continuing to sell the German Armoured Car with the idiot mudguards! Buck is on foot to the left, Manolito on the rearing horse in the background and John Cannon shouting some gruff stuff in the foreground., to out-of-frame cow-hands or 'Injuns'! Copies - Baravelli (Italy) above and Montaplex/Hobbyplast (Spain) below. In the style of Hong Kong, these are both pretty crude, with the Spanish figures particularly poor and 'underfed'! 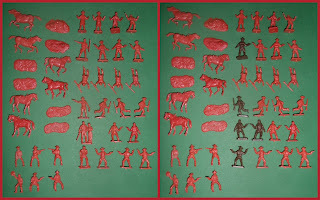 The envelope on the left having one 'set' of figures and a wagon, the one on the right, two sets of figures and no accessories, all in an insipid semi-transparent flesh colour. Close-up of the character figures, less John and Victoria who are at the top of the post. It's a pity they didn't re-do the whole set again, as these are really nicely sculpted figures. Across the top I think they are; Buck to the left, Manolito and Blue Boy on the right...or is it young Blue on the left with a rifle and Uncle Buck with a firm grip on his whiskey? The Marx figures for comparison, in this case via Rado (Ri-Toys) and from Marksmen. 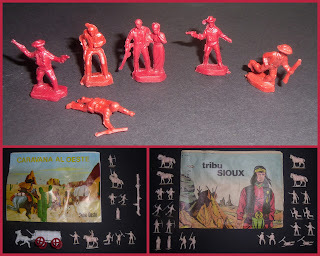 They are not that bad next to the character figures, but dwarf the rest of the contents, as you will see on the Cowboys post. Unused box-art which appeared in the catalogue to herald the issue of this set, clearly a stock photograph used by the art department to get the catalogue out on time, it contains no hint to the contents and none of the recognisable characters from the TV series! 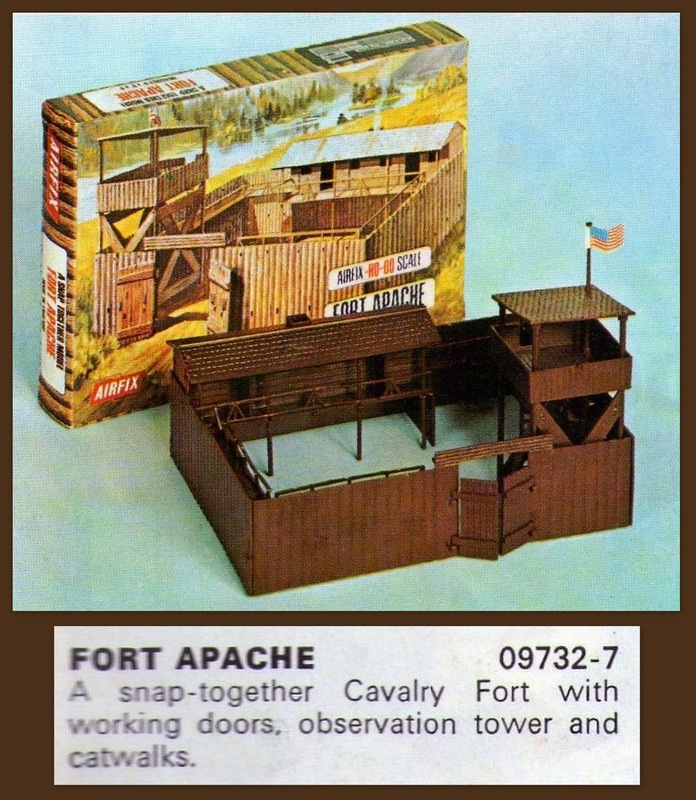 A useful accessory for this set was the Fort Apache, originally available as a soft polyethylene model, by the time the High Chaparral was on sale it had been redesigned in hard polystyrene, a few millimetres larger! Although I'm not sure if this type of fort was built in the arid prairie region where the show was set? Note how the artwork on the box is reversed. That´s a good idea with the manailto fig...with a bigger horse it would work. 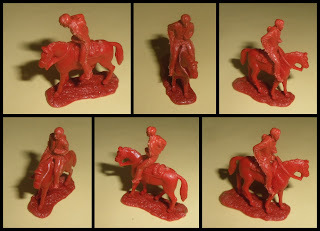 The "stumpy" Cowboy figs are usefull as ACW confederates, well, at least they fit the style of the airfix ACW´s. Yes - It looks like he's trying to escape on someone else's reluctant mule! While they were chopping and changing the mould cavities they should have added the US Cavalry horses (or the Arab horses with the slightly more ornate saddles) and had the sculptor design a couple of new mounted cowboys? I've never got other figs of High Chapparral than John and his wife! 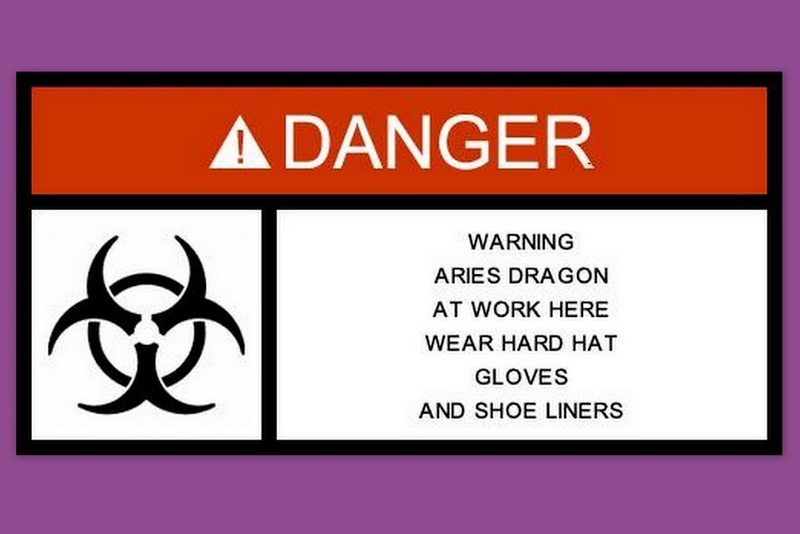 Thanks Sam, they do turn up from time to time, I'll see if I can't make you a set of the three, one of each colour OK?